HONOLULU (AP) — The first storm of the hurricane season to impact Hawaii sent the islands' residents into hurried preparation mode, but the state got through the weekend without seeing major damage as the storm was downgraded, officials said Monday. Still, moderate to heavy rain was swamping parts of Oahu, and flooding was expected to persist in areas where drainage was poor, officials said. Honolulu police urged drivers to stay off roadways and avoid flooding that began late Sunday on the H-1 Freeway and some other major thoroughfares. 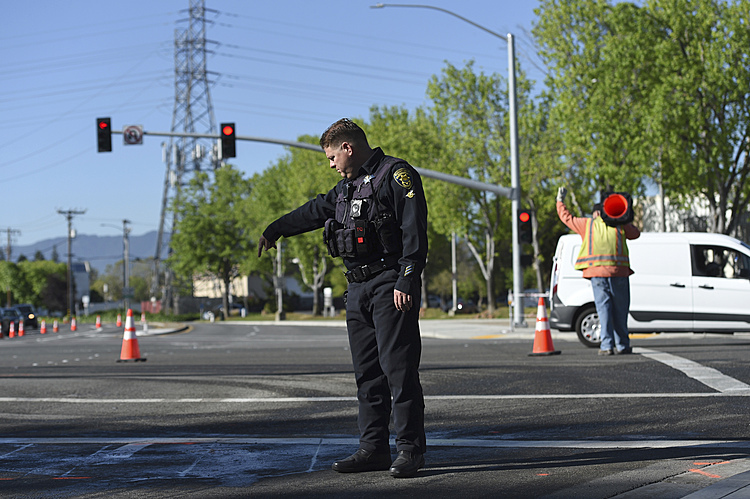 The freeway was reopened early Monday. More than 3 inches (76.2 millimeters) of rain was possible for parts of the islands as Darby moved away from the state, forecasters said. The National Weather service said Darby had been downgraded from a tropical storm to a tropical depression. Forecasters expect the storm to dissipate by Wednesday. Darby was about 55 miles (88.51 kilometers) west of Kauai early Monday and moving away from the island at about 12 mph (19.31 kph) with maximum sustained winds at 35 mph (56.32 kph) and higher gusts. Crews had responded to dozens of weather-related incidents, KHON-TV reported, including 59 calls for water evacuation due to flooding. A sewer near the Ala Moana Shopping Center overflowed, spilling more than 1,000 gallons (3785.3 liters) before crews stopped it late Sunday. As of Monday afternoon, city crews were busy dealing with eight other reports of sewage spills across Oahu — including 42,000 gallons at the Kailua Wastewater Treatment Plant. Various brown water advisories were issued for coastal water off Oahu, the Big Island and Kauai from storm and flood runoff. Not all waters may be affected but officials advise staying out of the water if it's brown. The office of Kauai Mayor Bernard P. Carvalho Jr. said no road closures or damage were reported a day after he had signed an emergency proclamation. Some damage occurred on the Big Island. 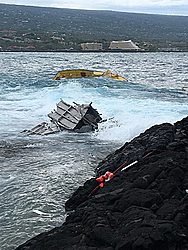 A 70-foot (21.34-meter) vessel with 300 gallons (1,135.59 liters) of diesel aboard broke from its mooring and sank Sunday, sending debris onto shore. The boat's owner is arranging cleanup. The Red Cross says more than 200 people stayed in shelters on Oahu overnight and more stayed in the facilities Friday and Saturday in Hawaii and Maui counties. All statewide evacuations shelters were closed by Monday.